Deacon Steven Lumbert officially converted to Catholicism in 1988, but had been a “practicing” Catholic for some time before. He met his loving wife Socorro while serving in the Navy at Roosevelt Roads, Puerto Rico in 1965. After relocating to Colorado in 1966, the Lumberts moved to Pueblo in 1968 where they raised their daughters Karina and Regina in the Faith. Steve spent 30 years as a Colorado State Trooper but retired when God called him to the Diaconate. He has been ordained for over 10 years and has served at several Pueblo Parishes, including Holy Family Parish, St. Pius X Parish, St. Paul the Apostle Parish and Our Lady of Mt. Carmel Parish. He is presently assigned to St. Anne’s Parish as the Parish Administrator, and has also served the Church as a Council Liaison, Pastoral Associate, and Associate Director of Deacon Formation. Monsignor Mark Plewka, JCL, completed his seminary training at St. Patrick's Seminary in Menlo Park, California. 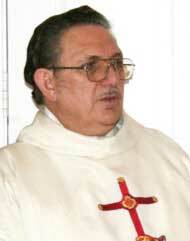 He was ordained to the Priesthood and assigned to the Diocese of Pueblo on September 26, 1976. He has served in various Parishes throughout the Diocese, including St. Joseph's in Grand Junction, Sacred Heart Cathedral in Pueblo, and St. Mary's in Walsenburg. He completed his Canon Law studies at Catholic University in Washington, DC, earning a degree in Canon Law in 1985. He was appointed head of the Diocesan Tribunal in 1980. 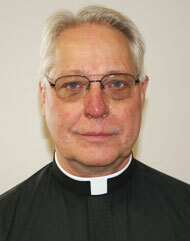 He served as Priest at St. Anne's from 1985-1990 and subsequently served as a Priest at Holy Rosary. Monsignor Mark is currently very happy to be the Sacramental Minister at St. Anne's.